I once participated in an interesting employee ranking/calibration exercise. HR would hold these once a year to score, rank and compare employees as part of their annual review process. Everybody would get ranked along two dimensions: 1) Behavior Performance – essentially how they have done their job. There are three possible rankings along this dimension (Improvement Required; Value Player; and Role Model). The other dimension: 2) Results Performance – a reflection of the results and accomplishments of the past year. There are also three possible rankings (Partially Meets; Solid Results; and Exceptional Results). Combined, these criteria form a square with 9 cells (3×3), each representing the intersection of rankings for both of these dimensions. New hires usually get a pass (Too Early to Rank). Many large organizations use something like this when evaluating and ranking employees. 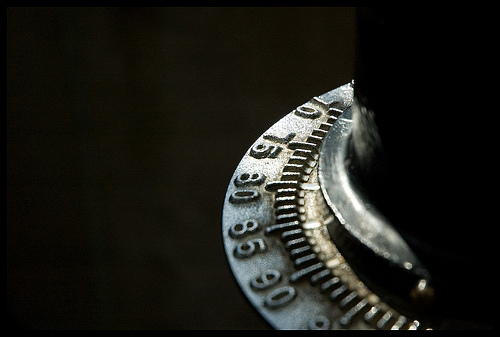 Some firms may have extra dimensions or might have additional possible rankings. The point here, is that there are often quotas or limits on how many people need to be in each cell. In other words, and following the bell-curve principle, there has to be a normal distribution of rankings/scores with a lot of people in the middle (Valued Player & Solid Results) and fewer on the extremities (high and low scores/rankings). It’s an interesting method which I think has merits, simplicity and ease of use being two of them. There are, however, downsides too like at least one missing ranking/level between meeting expectations and truly exemplary performance. It is impossible, for example, to highlight a strong but nuanced performance on both dimensions without dropping it in the middle with everyone else or pushing it up into the realm of sheer excellence. A couple of other interesting findings emerged for me from this exercise. While some of these may have been specific to this particular organization/situation, I think they may also hold some truth for other businesses. Use the Right Benchmark. In this case, and in spite of oft-stated world-class aspirations, the people being calibrated (90+% locally sourced talent) were ranked and compared mostly against each other. This may have been the intention of this exercise but what it misses is the true, global, world-class standards against which people ought to be evaluated. After all, this is an international commercial organization (part of a multi-national company) supporting Sales and Marketing around the globe. A number of people were given rankings that may have been appropriate in the local context but which are not necessarily justifiable in a true, world-class organizational context. What I lament here, is the world-class talk without the corresponding walk. Worse, this system perpetuates a certain type of “mediocrity” and tells people in this particular corporate microcosm that their performances and behaviors might be better than what they really are in other high-performing, global organizations. I think this is a missed opportunity by HR to recalibrate performance expectations and to keep evaluations more in line with international standards. What this means: If you want to be best-in-class or world-class then use world-class standards to calibrate people and measure their performance. Challenge people to behave and contribute on a world class scale instead of a local one. You shouldn’t compare or rank people against each other, unless you have a truly international organization filled with best-in-class talent from around the world. Don’t Fear the Low Rankings. A noticeable trend from the managers who participated in the exercise was to a) almost never give their people a low (Improvement Required) behavior ranking and b) put up strong resistance when other managers challenged their people rankings. Reading between the lines, I could not help but notice that many managers were VERY uncomfortable giving folks in their teams a low score on the behavior dimension. Almost as if they feared that by doing so, it would cast a shadow on their own management performance or internal reputation. What this means: Managers need to be honest. They have to be brave. Giving someone a legitimate poor ranking is to do the right thing for the business and for the employee. Managers cannot sweep problem employees under the rug and give them a pass for another year or until a new manager takes over. It will come back to bite the business. Scoring someone poorly is not a sign of weakness or of failure. It is, rather, a courageous move which sends a strong message to the affected employee that will either get acted upon or will open the door for an earlier – but necessary – exit from the organization. Don’t Coddle Your Team. The other trend was that managers came in with a fairly generous allocation of high rankings for their individual team members. For example, far too many “role models” were doled out (coming into the calibration meeting) versus what a normal, bell-curve distribution would typically allow. It is almost as if managers were posturing or hoping to gain favor with their direct reports. On the one hand, they could garner higher rankings for their employees just for trying. On the other hand, even if the relative scores/rankings of certain people were subsequently lowered by the group, managers could tell their direct reports that at least in their eyes they were worthy and that the “organization” forced the lower ranking. What this means: Managers should resist the urge to want to please their direct reports. Calibrations should be fair and based on facts and actual performance, using metrics and standards that are common to all. Managers should not start aiming high on purpose with the idea that some rankings might stick. It’s just not in the best interests of an employee to be prematurely or undeservedly given a high ranking that isn’t fully warranted or which is based on “impressions.” It might give them a false sense of exceptional worth, inflate their expectations and make them more complacent than they would be otherwise. Thoughts? Emotional outbursts? 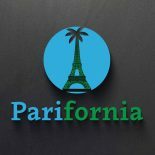 Like it, leave a comment and follow the Parifornia blog (Original insights in international business and marketing). This entry was posted on May 30, 2013 by Andrew Hyncik in Leadership, Management and tagged business, Employee Relations, Employment, Facebook, Human resources, marketing, Marketing Strategy, Social media, Twitter.